While waiting for the Titan T-3 power rack to arrive, I installed interlocking foam anti fatigue flooring tiles over the existing concrete floor. 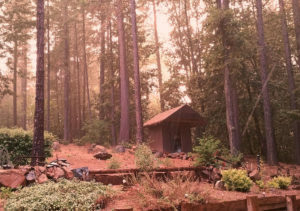 Our dogs walked through the wet concrete right after we poured it, so it was a little rough, and I wanted a floor that was warmer on my bare feet and also comfortable to sit on for stretching, floor exercises or yoga. The interlocking foam flooring was cheap and easy to install, but if I had to do it again, (and I might have too someday), I would get something more substantial. This foam floor looks great, but it’s kind of delicate for a weight room. I’m a woman and pretty careful about things, so the floor still looks great, but there are 2 small cuts in it from dropping tools. 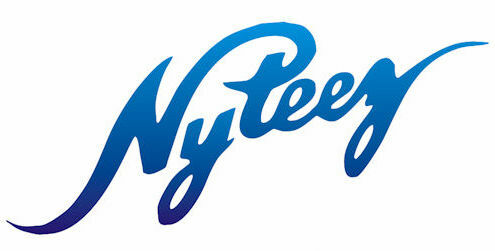 I don’t wear shoes when I work out, so I’m not sure how it would hold up being scuffed by shoes. The Titan T-3 Power Rack arrives in 2 packages, unless you also order the Titan T-3 spotter arms like I did, then you get 3 packages. I was concerned about how to install the Power Rack without dragging the feet on the floor when you open and close it. That would surely tear up the foam floor. If I installed it on the concrete floor, it wouldn’t close right because it would catch on the uneven dog prints in the concrete. I decided to install it on top of two 5lb flat CAP weights. 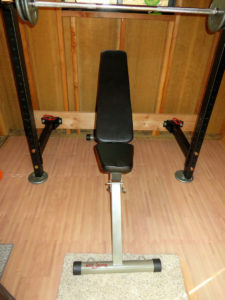 I figured I could remove the weights when I want to fold up the rack and it would swing freely. This actually worked out great. We put the weight plate on the concrete, put the rack on the weight and marked where we needed to drill holes for the lag bolts then installed the rack at that level. When I put the foam floor back down, the rack swings freely just above the floor. 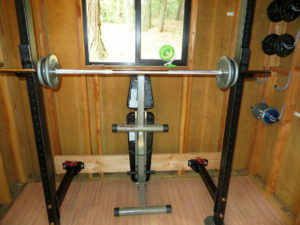 When I set the rack up, I just shove the 5lb weight plates under the feet. If I was using a more dense rubber floor, I would measure with the weight on the rubber floor, not on the concrete. The foam floor compresses easily so it’s easier to slide the weight under the rack feet. A dense rubber floor isn’t going to give as much, so it might be impossible to slide the weight under the feet when you put the floor back down over the concrete. Power Rack installed, I’m impressed! I love it! 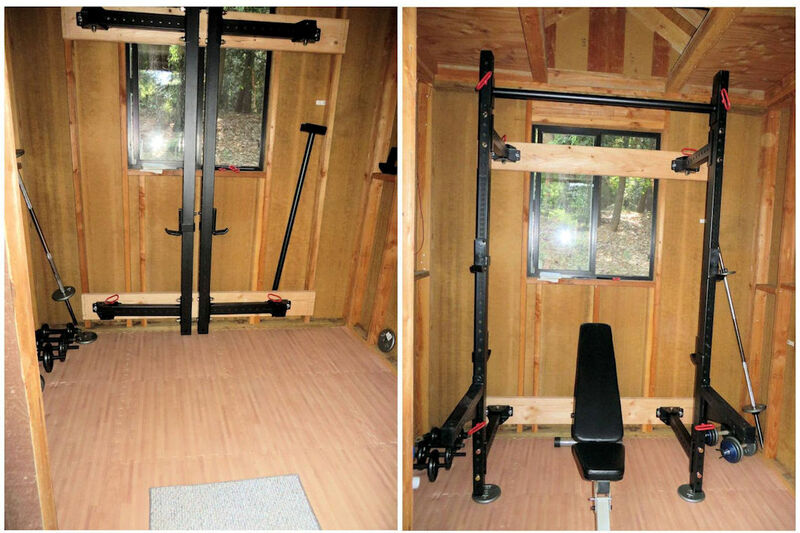 I am 5’8″ and this tiny home gym has plenty of room for all my workouts. Now, it’s time to pimp it out! 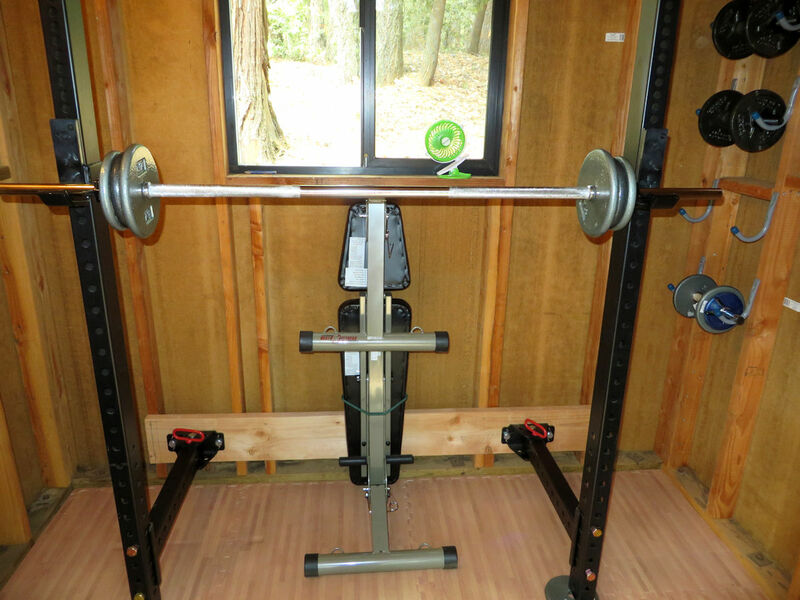 I use 1″ barbell bars. 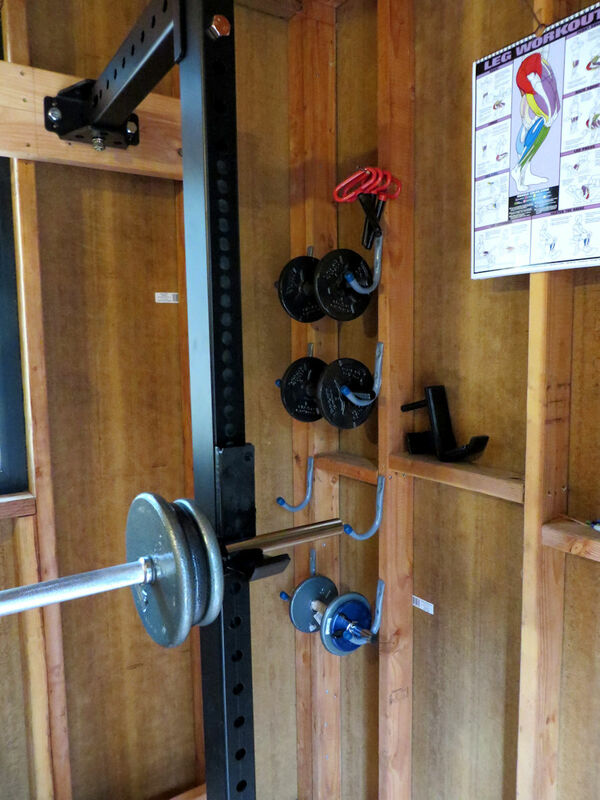 The 5′ CAP chrome barbell bar works out great, the 6 foot bar would also work. I have some weight plates from Walmart, but I like the CAP free weight plates better because they are more compact. Amazon will only let you order 3 at a time. ( 3? what is somebody supposed to do with 3 weights?) Anyway, I just order 2 or 3 then wait a week or so and order more. These ECOSS barbell clamp collars work great. They are a a little hard to get on at first, but after a while they break in and get easier to put on and off. Changing weights is a breeze. The Best Fitness folding Weight bench is sturdy and folds flat. I also use it to stand on to reach the chin up bar. 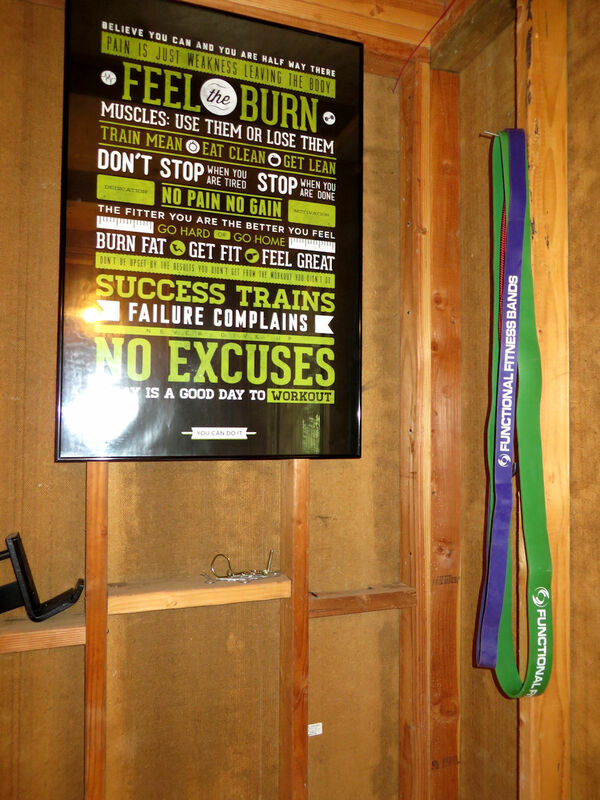 The CAP Barbell plate rack keeps my weights organized. And a Workout flip chart. Useful for learning how to work out all your muscle groups. 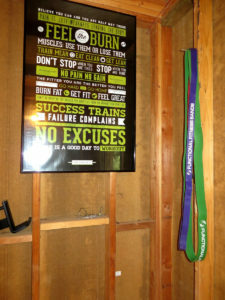 Functional Fitness Resistance bands, love these! They are a great way to add variation and more resistance to your workouts. They also assist you in doing chin ups, one of my weak points. For workouts, check out Bodybuilder.com. This Ultimate Beginner Workout was a perfect start for me. 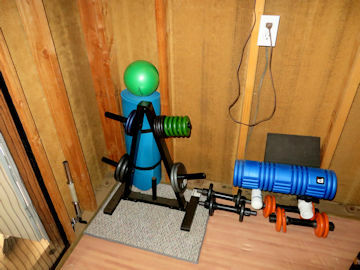 All the exercises can be done in my tiny gym. 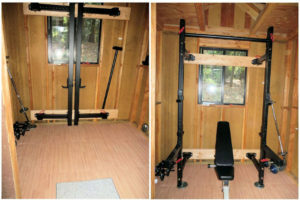 I love my tiny home gym and the Titan T-3 Power Rack made it all possible!